The other day a friend and I were talking about novelty songs. Most people automatically think of Weird Al when it comes to novelty and parody, but there were a few that were popular long before he became popular. 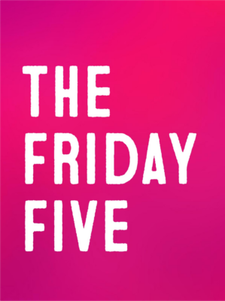 Today's Friday Five is dedicated to these earlier novelty songs. The Friday Five was born out of inspiration from John @ Sound of One Hand Typing. I do hope you'll take a moment to stop in to see what he's got going on at his place today. The first is really a two-fer. Mostly because I couldn't decide which one to share. So we'll count these first two as ONE. Ray Stevens, is an American country and pop singer-songwriter and comedian, known for his Grammy-winning recordings "Everything Is Beautiful" and "Misty", as well as comedic hits such as "Gitarzan" and "The Streak". He has worked as a producer, music arranger, songwriter, television host, and solo artist; been inducted into the Nashville Songwriters Hall of Fame, the Georgia Music Hall of Fame, and the Christian Music Hall of Fame; and received Gold Albums for his music sales. Next up we have Spike Jones. I loved listening to Spike Jones as a little girl. I'd put the album on the record player and laugh at the silliness. Spike Jones was the original madcap bandleader who was popular in the 1940s and '50s. US based, his specialty was sending up the songs of the time using a vast array of sound effects including pots and pans, gongs, horns, guns, bells, broken glass effects - anything. Classical music pieces also received the Spike Jones treatment with hilarious effect. 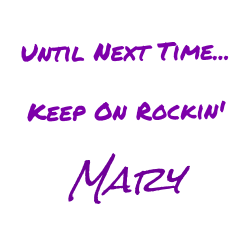 He was a drummer himself but spent most of his time fronting the band of highly accomplished musicians, often getting involved in crazy antics and chases around the stage. He had a radio show and at least one television recording. The Four Preps was a popular music quartet most popular in the late 1950s and early 1960s. In 1960 they recorded a parody single, "More Money for You and Me," which included single parody verses of several popular songs by The Fleetwoods, The Hollywood Argyles, The Platters, The Four Freshmen, The Kingston Trio and Dion and the Belmonts. Roger Miller was an American singer, songwriter, musician and actor, best known for his honky-tonk-influenced novelty songs. His most recognized tunes included the chart-topping country/pop hits "King of the Road", "Dang Me" and "England Swings", all from the mid-1960s Nashville sound era. In the late 70's acclaimed actor Steve Martin emerged as the most popular stand-up comic in the U.S. His frequent appearances on Saturday Night Live solidified his national acclaim. Steve Martin's career took another leap forward when he began releasing comedy albums. His first, 1977's Let's Get Small reached the top 10 on the albums chart. The second A Wild and Crazy Guy included the top 20 hit single "King Tut" which parodies the national obsession at the time with Egyptian king Tutankhamen. If you're interested, I do have these as a playlist here. Feel free to subscribe and watch. What did you think? Did you enjoy these? Do you have a favorite novelty song? Feel free to share in the comments.